Simple, modern style. 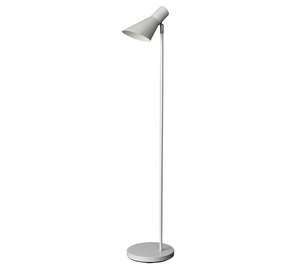 With a clean, white finish and plain elliptical shade, the Hygena Floor Lamp has a minimalist, contemporary vibe. 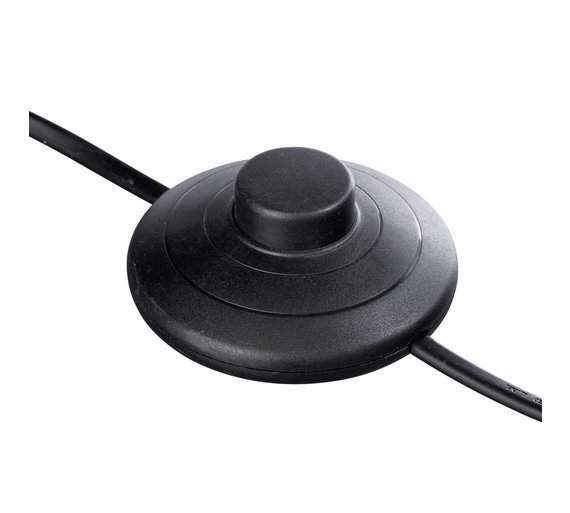 A function-focused design, it has an adjustable conical head, made for maximum light out-put and precision spot lighting. Stand it over a reading chair or office desk, it creates a calming energy – perfect for when you're trying to concentrate or relax. 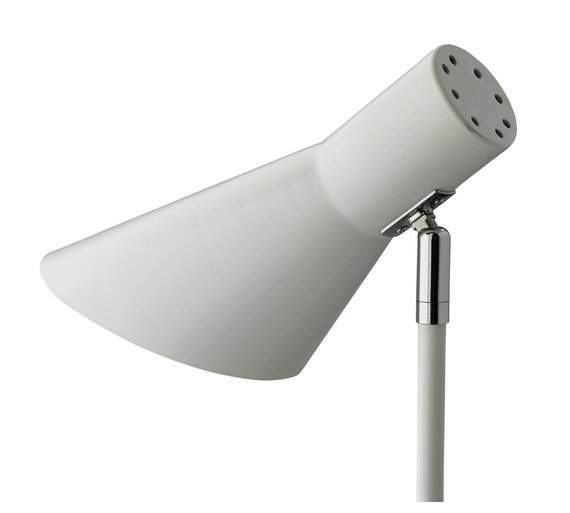 Suitable for use with low energy bulbs, max 6 watts (led). Bulbs required 1 x 40W golfball SES small edison eco halogen and 1 x 12W golfball SES small edison LED (not included). Anyone know of something like this that can use a Phillips hue bayonet bulb?